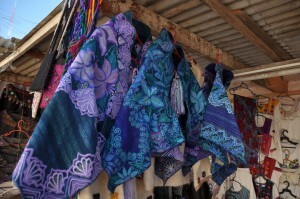 We went to Chiapas in search of textiles, which we found in abundance. We never expected to find a book. Our guide on that trip, Chip Morris, has lived in Chiapas for some 40 years, learning the language, forming friendships among the Maya, and writing about the people and their textiles and customs. His most recent book, A Textile Guide to the Highlands of Chiapas, had been in print less than a year. A handsome over-size paperback in English, Spanish, and French and printed in a limited edition, it was almost impossible to find, and very expensive at that. The information and the striking photography cried out for a wider audience. So we decided to redesign it and bring it out under the imprint of our parent company, Thrums Books in a smaller, travel-guide size in English and Spanish only. Chip added informative captions to the photos and we added a pull-out hand-painted map of the region that shows the huipil style characteristic of each of the 19 communities it covers. Working on this project was a journey in itself. 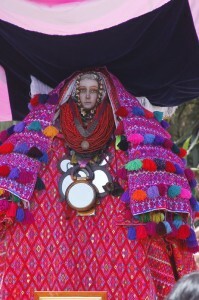 We traveled on twisty, crumbling roads to Magdalenas Aldama, where the serene statue of the Virgin in the local church wears layers and layers of the finest huipils, woven for tribute, penance, or pride. We visited San Andrès Larràinzar on a Sunday morning, and found huipils with densely embroidered bodices and ever-evolving color combinations. In Oxchuc, we visited the shop of Don Manuel Perez Cocom and his wife. At 93, Don Manuel is the self-appointed keeper of traditional culture. 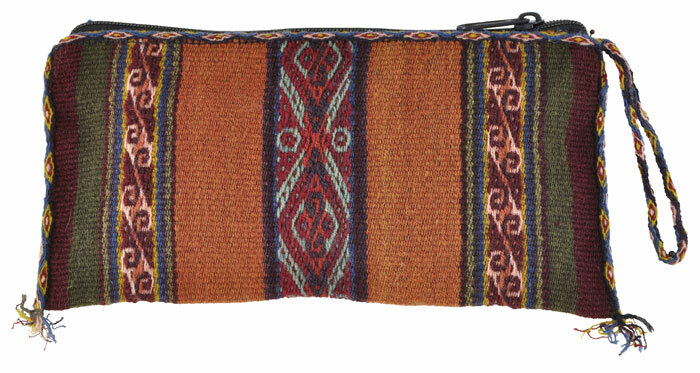 His shop is a trove of handmade drums and fiddles, weaving shuttles, spindles, leather goods, fine twined bags of maguey fiber, excellent huipils in the startlingly graphic style of the community. 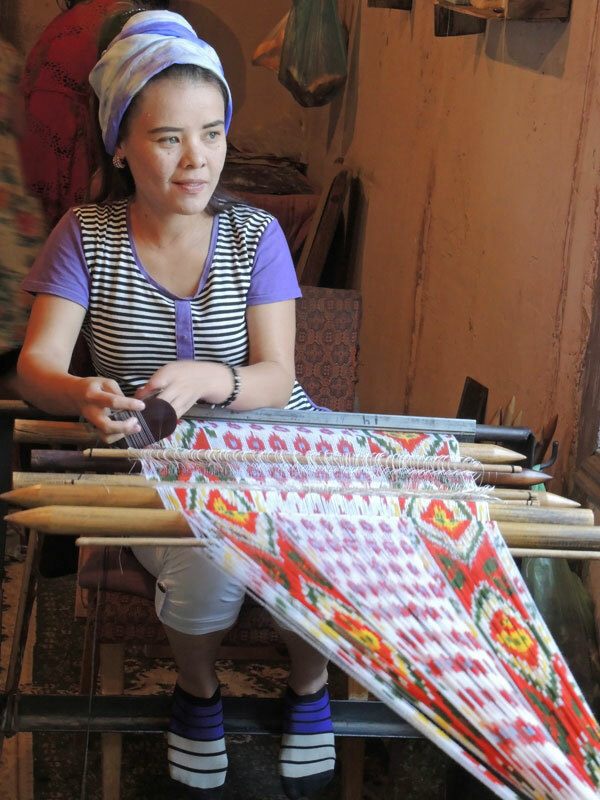 In the back courtyard, we strolled through a work-in-progress museum of folk art at its best — and skeins of cotton thread dyed to a rich copper hue with bark from a local tree. You can see Don Manuel and his wife in their shop in the book, page 80. We heard legends deeply informed by the history and culture of the Chiapas highlands (Chip is a wonderful story teller) – the story of how a monster called Hairy Hand was defeated in hand-to-hand combat by Saint Andrew and banished to the depths of the Caribbean (shades of Beowulf and Grendal! ), but allowed to return once a year. 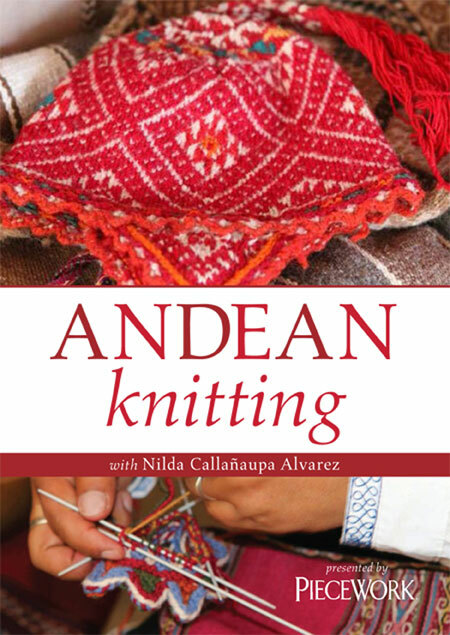 We learned of Antonia the Toad, sacred in Maya iconography, and evident in much of the weaving. 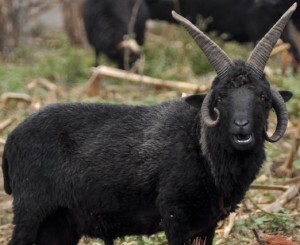 We saw flocks of Chiapas sheep, which bear a strong resemblance to Navajo Churros, wandering through villages with handwoven grass baskets tied to their muzzles so they couldn’t destroy garden crops as they headed to pasture. 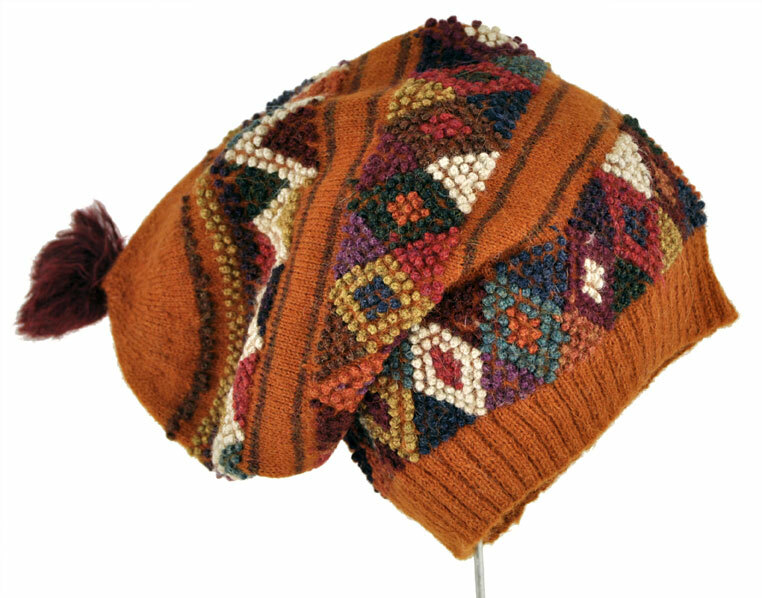 And in Chamula, we saw perhaps the strangest textiles of all – tunics and huipils and skirts so shaggy that we thought at first they must have been made of unshorn sheepskin. Not so, though. These amazing fabrics are spun, woven, felted, and vigorously brushed in a painstaking process that makes them highly valued (and virtually indestructible) . 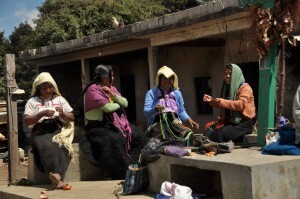 In Zinacantán, we visited a combination home and weaving studio where the mother and daughters weave fine base fabrics on backstrap looms on which they machine-embroider floral motifs in riots of pattern and color, a new palette for each festival season. 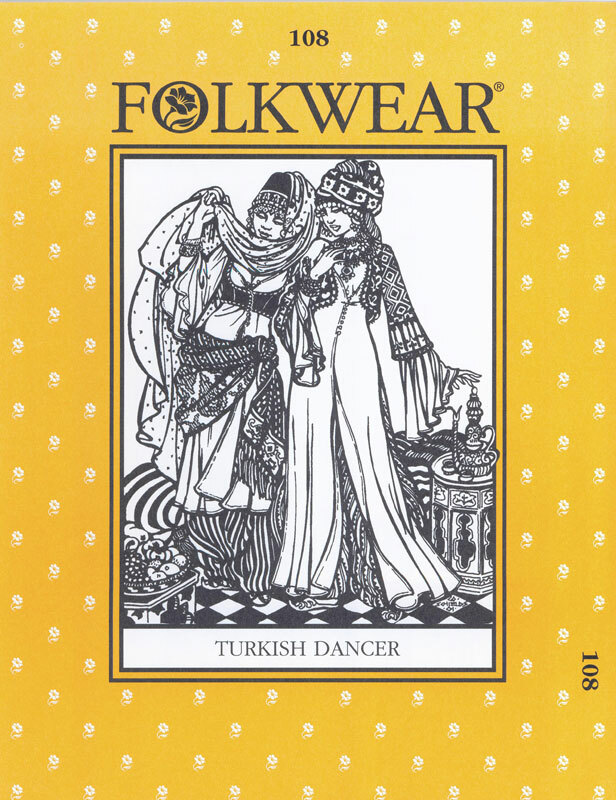 These glamorous fabrics–there’s no better adjective–are used for men’s tunics and women’s skirts and capes. We long to go back during a festival to see the streets filled with such beauty. 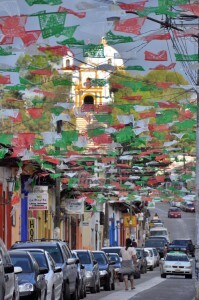 Our forays into the countryside around the major city, San Cristóbal, provided just a hint of the rich and varied textile work that has been sustained for centuries in this area. 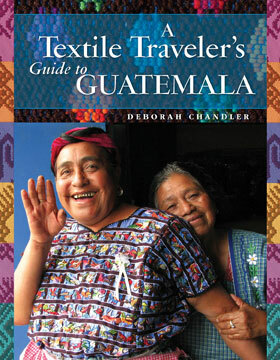 A Textile Guide to the Highlands of Chiapas offers so much more, all packed into 160-some pages. 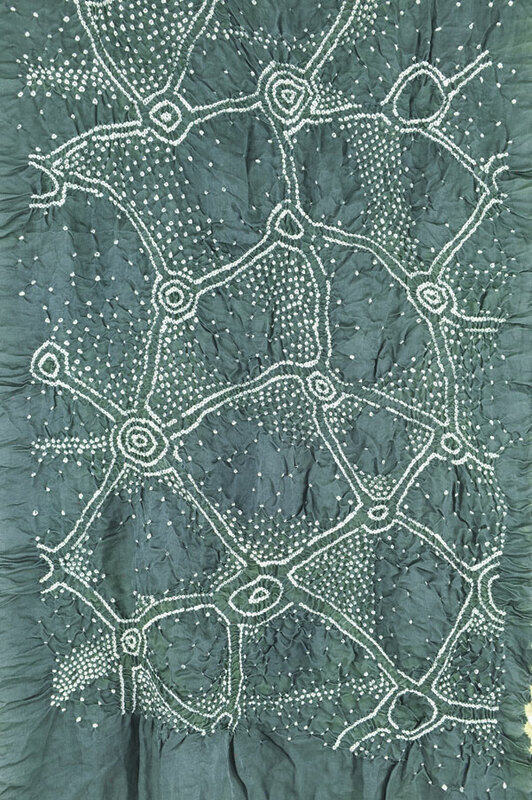 Traditional textiles tell the stories of the people who create them. Books help you read between the lines. Books and fabrics, hand in hand — it’s what we do. 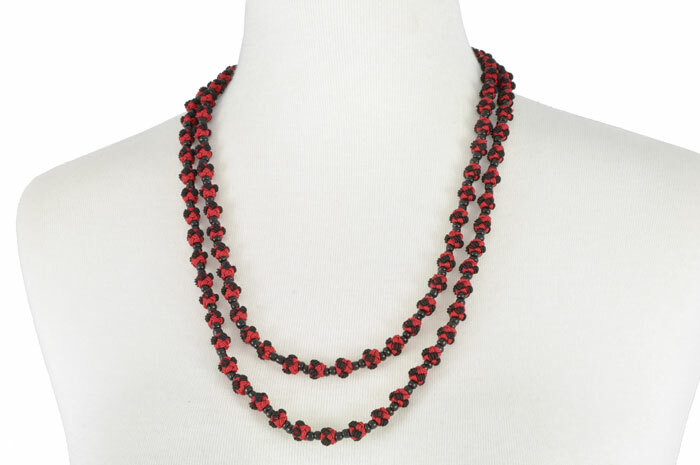 This blog post was written by Linda Ligon. 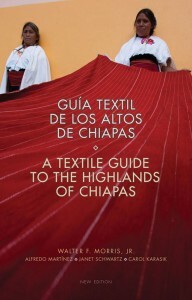 Photos from A Textile Guide to the Highlands of Chiapas and Robert Medlock.